We are not a traditional building company but have developed our abilities in this sector substantially in recent years due to encountering more civil projects with major building elements than ever before. We take the same management approach to building works as we do to civil works and whether it is a small administration building on a water treatment, redevelopment of a train station or a new commercial unit. Several client are faced with a difficult decision if they have a project that incorporates civil and building elements => a building contractor may struggle with the civil elements, and civil contractors may not have experience of building works – JCL can seamlessly deliver both elements to the same standard, with the same system. JCL do not subcontract building elements in their entirety – we subcontract specialist elements to specialist contractors, such as roofing , electrical, flooring etc. 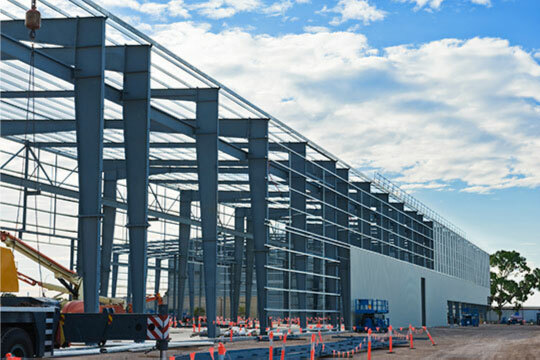 We retain complete control and responsibility for the project and trust our site teams to deliver the building elements to the same standard as we have continuously delivered civil projects. This project was a classic example of a civil and building works contract where equal focus had to be given to each element. The civil works included suite development and reinforced concrete yards, while the building elements included a salt storage barn, an equipment storage shed and a new office unit for the NRA Motorway Maintenance team. Victor has a degree in Civil Engineering, awarded by Queens University Belfast, in 1993. He joined JCL in 1995 and was appointed a Director in 2001. He completed a post graduate Diploma in Project Management in Trinity College in 2015. He acts as Contracts Director on multiple projects at any one time, notably Kilcullen Road, NRA Maintenance Depot and Market Square, Dundalk.